Magic is something has always fascinated me in a way because there’s never been a truly defiant explanation as to what it is or how it’s done – you just witness and be amazed. Movies are like that in a way, because as a viewer, you never truly know just how they’re made (unless you watch hours upon hours of behind the scenes footage), because you’re just captivated (at times) by what you’re witnessing coming to life. 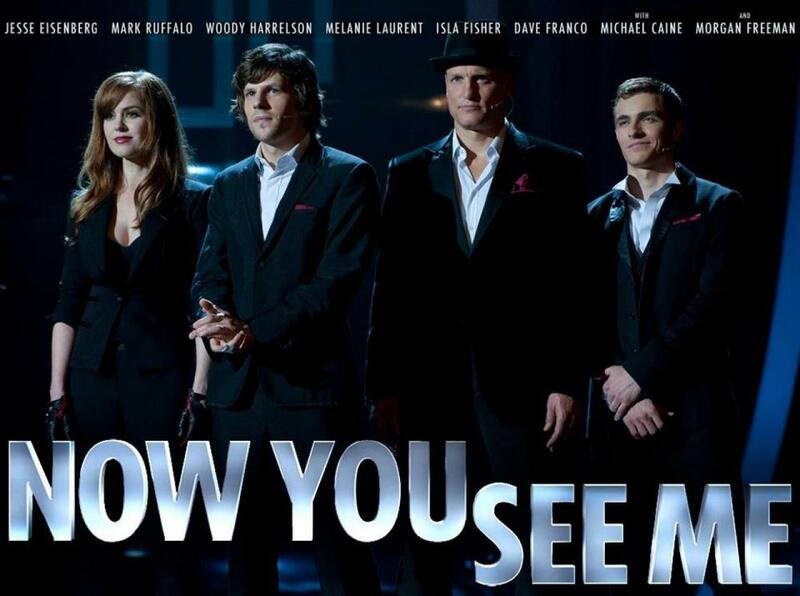 There’s one word that was explained in this movie that hints you to how this movie played out – misdirection. Just when you think you’re looking at something and following it along, something takes a turn in another direction and your string gets pulled, forcing you to see what’s really happening. In a month that featured a lot of Blockbusters to open up the summer, it took until the last day of the month to really show something magical. Last time I saw Jesse Eisenberg, he was portraying the social media King, Mark Zuckerberg in The Social Network. The nerd that he brought out was what obviously caught the attention of the makers of this movie to cast him as one of the lead magicians, while still keeping that ‘boss’ mentality that he was made famous for. When you throw in Morgan Freeman, Michael Caine, and Mark Ruffalo into the cast, you can’t possibly think that this is going to be a bad movie, but then again, there was also a movie that was “magical” and featured a star studded cast (remember Jumper?) that didn’t pan out to be as good as it was hyped up to be. I think a lot of people just saw the trailer for this and said ‘meh’, but I had a feeling it would be a good one.